This is an old photo, five years old almost to the day. Back then I volunteered with greyhound adoption and we had a great kennel. Well, great might be an overstatement, it was a kennel and it was clean and the dogs were well-cared-for. The best part though, was the pasture. About half a fenced acre that was flat and grassy. When the weather was nice we used to let the dogs out to play in small groups. These three girls had a ball and I've always loved this picture. 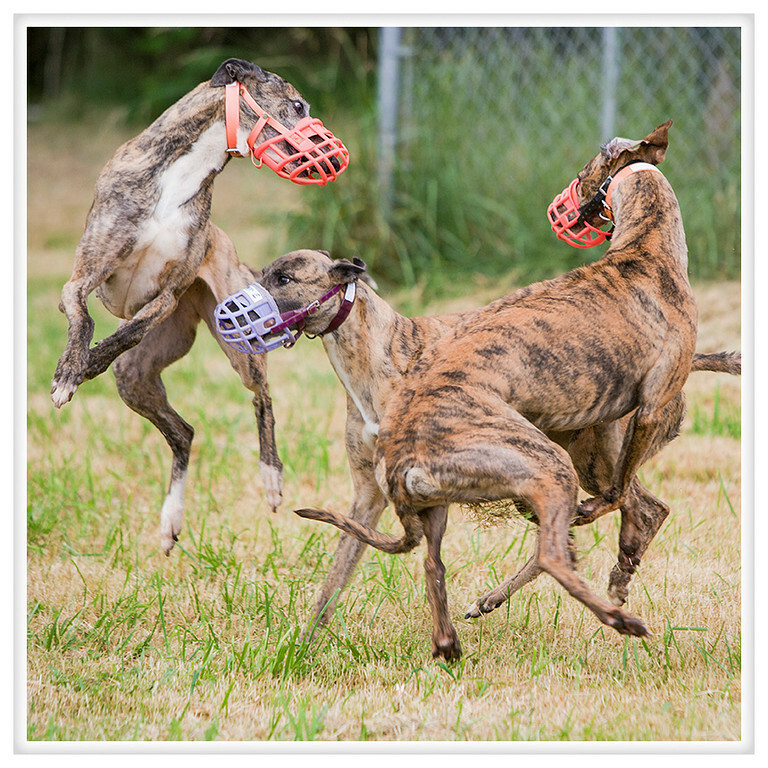 Two of the three are completely airborne and it just epitomizes greyhounds at play.